Below you fill find all funeral homes and cemeteries in or near San Francisco. Popular neighborhoods in San Francisco include: Alamo Square, San Francisco, Anza Vista, Haight-Ashbury, Balboa Park, St. Francis Wood, Hunters Point, Bernal Heights, The Castro, Western Addition, Crocker-Amazon, Mission Bay, Dogpatch, Chinatown, Civic Center, Cole Valley, Duboce Triangle, Russian Hill, Marina District, Diamond Heights, and Mission District. Suburbs of San Francisco: IRS, IRS Remittance, Pacific Area Office, PG&E, Presidio, San Francisco Intnl Airport, UCSF, Union Bank of California. 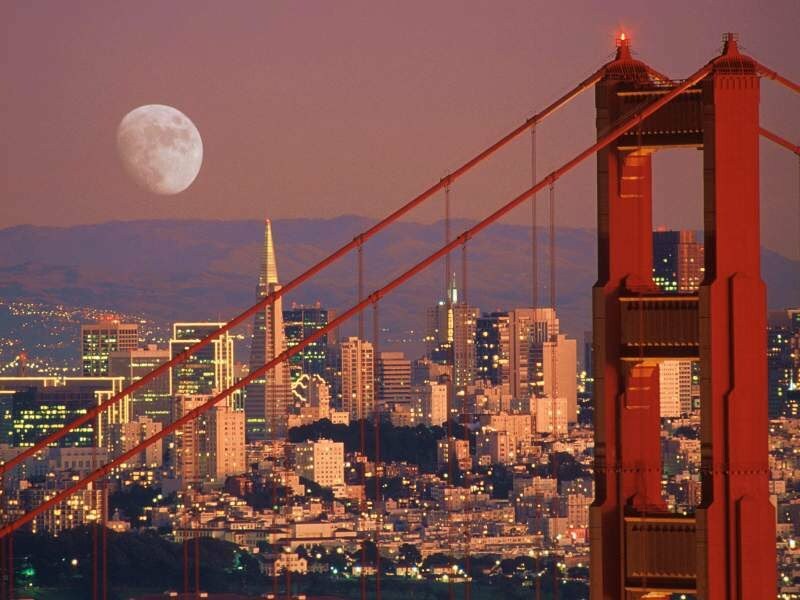 San Francisco is also known as: Frisco, SanFran, The City, Baghdad by the Bay, and SF. Their current mayor is Mayor Edwin M. Lee. Zip codes in the city: 94101, 94102, 94103, 94104, 94105, 94107, 94108, 94109, 94110, 94111, 94112, 94114, 94115, 94116, 94117, 94118, 94119, 94120, 94121, 94122, 94123, 94124, 94125, 94126, 94127, 94128, 94129, 94130, 94131, 94132, 94133, 94134, 94137, 94139, 94140, 94141, 94142, 94143, 94144, 94145, 94146, 94147, 94151, 94153, 94154, 94156, 94158, 94159, 94160, 94161, 94162, 94163, 94164, 94171, 94172, 94177, 94188, 94199. San Francisco County funeral flowers can be purchased from one of the local funeral shops we partner with. There are currently 35 funeral options for this city. 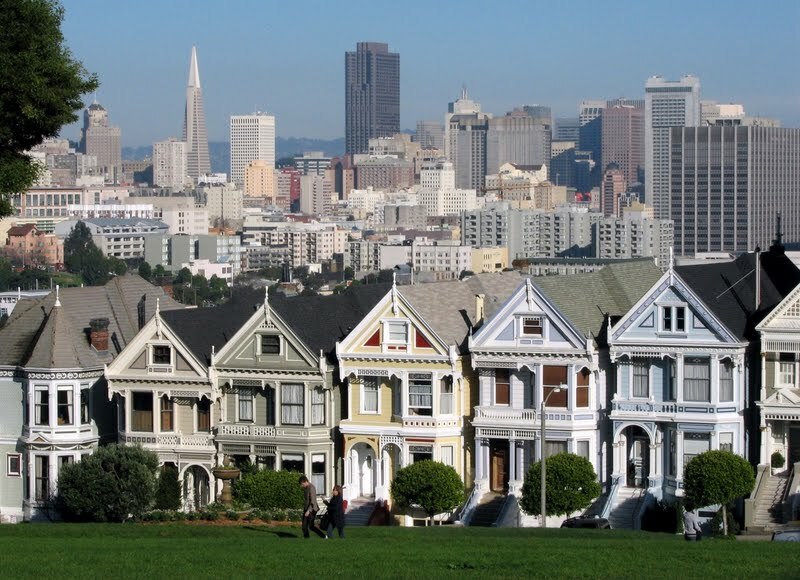 San Francisco has been featured in films like: Bullitt (1968), Vertigo (1958), The Pursuit of Happyness (2006), and So I Married an Axe Murderer (1993). Some of the notable people born here have been: Gavin Newsom (politician), David Stafford (programmer), Patty Hearst (actor), Jon Miller (announcer and actor), , , , Christopher Langan (bouncer), Daniel Handler (screenwriter and writer), and Monica Lewinsky (entrepreneur and businessperson). San Francisco is home to the following sports teams: San Francisco Giants, San Francisco 49ers, and Golden Gate Wrestling Club. San Francisco (/sæn frənˈsɪskoʊ/), officially the City and County of San Francisco, is the cultural, commercial, and financial center of Northern California and the only consolidated city-county in California. San Francisco encompasses a land area of about 46.9 square miles (121 km2) on the northern end of the San Francisco Peninsula, which makes it the smallest county in the state. It has a density of about 18,187 people per square mile (7,022 people per km2), making it the most densely settled large city (population greater than 200,000) in the state of California and the second-most densely populated major city in the United States after New York City. San Francisco is the fourth-most populous city in California, after Los Angeles, San Diego and San Jose, and the 13th-most populous city in the United States—with a Census-estimated 2014 population of 852,469. The city and its surrounding areas are known as the San Francisco Bay Area, which is a part of the larger OMB designated San Jose-San Francisco-Oakland combined statistical area, the fifth most populous in the nation with an estimated population of 8.6 million.San Francisco (Spanish for Saint Francis) was founded on June 29, 1776, when colonists from Spain established Presidio of San Francisco at the Golden Gate and Mission San Francisco de Asís named for St. Francis of Assisi a few miles away. The California Gold Rush of 1849 brought rapid growth, making it the largest city on the West Coast at the time. San Francisco became a consolidated city-county in 1856.After three-quarters of the city was destroyed by the 1906 earthquake and fire, San Francisco was quickly rebuilt, hosting the Panama-Pacific International Exposition nine years later. In World War II, San Francisco was the port of embarkation for service members shipping out to the Pacific Theater. After the war, the confluence of returning servicemen, massive immigration, liberalizing attitudes, along with the rise of the "hippie" counterculture, the Sexual Revolution, the Peace Movement growing from opposition to United States involvement in the Vietnam War, and other factors led to the Summer of Love and the gay rights movement, cementing San Francisco as a center of liberal activism in the United States. Politically, the city votes strongly along liberal Democratic Party lines.San Francisco is a popular tourist destination, known for its cool summers, fog, steep rolling hills, eclectic mix of architecture, and landmarks including the Golden Gate Bridge, cable cars, the former Alcatraz Federal Penitentiary, and its Chinatown district. San Francisco is also the headquarters of five major banking institutions and various other companies such as Levi Strauss & Co., Gap Inc., Salesforce.com, Dropbox, Reddit, Square, Inc., Airbnb, Weebly, Pacific Gas and Electric Company, Yelp, Pinterest, Twitter, Uber, Mozilla, Wikimedia Foundation, and Craigslist. It has several nicknames, including "The City by the Bay", "Fog City", "San Fran", and "Frisco", as well as antiquated ones like "The City that Knows How," "Baghdad by the Bay," and "The Paris of the West." It was disclosed on March 25th, 2019 that Roy James Holton passed on in Tampa, Florida. Holton was 75 years old and was born in San Francisco, CA. Send flowers to express your sympathy and honor Roy James's life. It was disclosed on March 24th, 2019 that Kenneth H Sihler passed away in San Francisco, California. Sihler was 69 years old. Send flowers to express your sorrow and honor Kenneth H's life. It was written by Register Guard on March 10th, 2019 that John Dalrymple III Atkinson perished in Corvallis, Oregon. Atkinson was 78 years old and was born in San Francisco, CA. Send flowers to share your condolences and honor John Dalrymple III's life. It was noted by Napa Valley Register on February 21st, 2019 that Elizabeth "Betty" Peters (Caspers) passed on in San Francisco, California. Ms. Peters was 92 years old. Send flowers to express your sorrow and honor Elizabeth "Betty"'s life. It was revealed by The Mail Tribune on February 10th, 2019 that Don "Donnie" Ray perished in Oregon. Ray was 73 years old and was born in San Francisco, CA. Send flowers to share your condolences and honor Don "Donnie"'s life. It was disclosed on February 2nd, 2019 that Blossom Levin (Willens) passed on in San Francisco, California. Ms. Levin was 98 years old and was born in Chicago, IL. Send flowers to share your condolences and honor Blossom's life. It was disclosed by Grand Island Independent on January 31st, 2019 that Lyle L "Buster" Leak passed away in Grand Island, Nebraska. Leak was 73 years old and was born in San Francisco, CA. Send flowers to express your sorrow and honor Lyle L "Buster"'s life. It was written by Sarasota Herald-Tribune on January 30th, 2019 that Thomas Samuel Spadaro passed away in Venice, Florida. Spadaro was 80 years old and was born in San Francisco, CA. Send flowers to express your sympathy and honor Thomas Samuel's life. It was reported on January 27th, 2019 that Barry Thomas Faber died in Sarasota, Florida. Faber was 90 years old and was born in San Francisco, CA. Send flowers to express your sorrow and honor Barry Thomas's life. It was noted by Klamath Falls Herald and News on January 25th, 2019 that Bruce Collier perished in Oregon. Collier was 74 years old and was born in San Francisco, CA. Send flowers to share your condolences and honor Bruce's life. Searching for a San Francisco funeral home doesn't have to be a chore; iMortuary will point you towards funeral homes, funeral flowers and funeral planning services near you. Start below with San Francisco funeral planning listings in your area that are designed to suit your needs. Search from San Francisco Funeral homes, or funeral providers all over California to find the perfect match. We can even send funeral flowers and arrangements to a funeral parlor or cemeteries when you can't make it. Home of the Golden Gate bridge, San Francisco is a city by the bay. 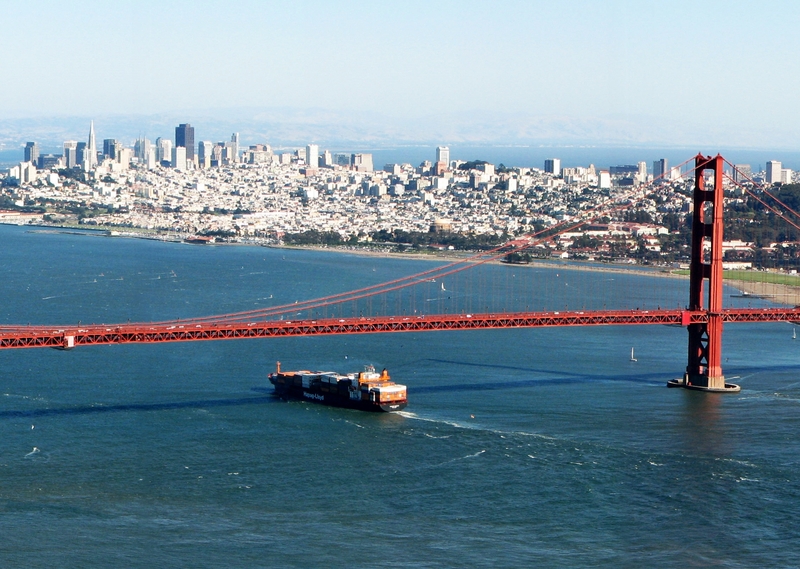 Located on California's northern coast, San Francisco is one of the major port cities on the west coast. Also the site of a decommissioned military base, the Presidio is growing as a tech industry powerhouse. Famous for their cable cars, piers, Height Ashbury and Castro districts San Francisco's growth was largely due to the California gold rush in 1848. The official website for the city of San Francisco is http://sfgov.org/. Bucking the national conservative trend, California Democrats swept all but one of the ... Democratic Betty Yee of San Francisco, whose coastal district reaches from the Oregon border to Santa Barbara, won her second full term with 62% of the vote. If non-citizens die while serving, they are given citizenship and a military funeral. If they live and get in trouble ... He has been held in a San Diego immigration detention center for 22 months and is appealing to the 9th U.S. Circuit Court. Listing all funeral homes in San Francisco, California so you can easily send flowers to any location (same day delivery) or find any funeral service. Funerals in San Francisco, CA on Yahoo! Local Get Ratings & Reviews on Funerals with Photos, Maps, Driving Directions and more. A directory listing of funeral home companies in San Francisco, CA and surrounding areas. We work with local florists and flower shops to offer same day delivery. You will find budget sympathy flowers in San Francisco here. Our funeral flowers are cheap in price but not in value.